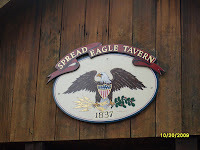 These are just a few images of the Spread Eagle Tavern in Hanoverton, Ohio. 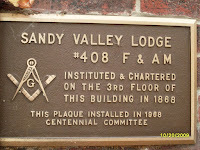 The history that has been kept just in this building is incredible. 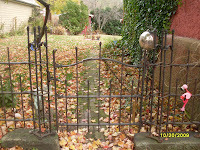 The wrought iron fence above is from an old cemetery. 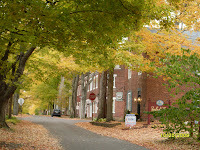 And the leaves are just gorgeous all around it. 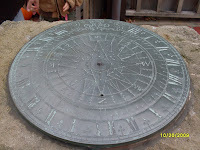 Sitting on a large stone is this sun dial right outside of the door entrance. 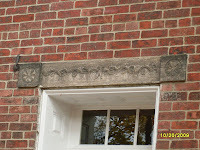 And the front of the Tavern has the most beautiful carvings in the stone above the windows and door. Guess why? Think Masons!!! 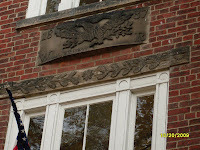 Perhaps the most interesting part of this building is this carved eagle. You will find one similar to it on the back of a one dollar bill. If you are going to the walk on Saturday night, be sure to check out this stone carving. We are meeting at the Dollar general at 6 pm for any one who wants to follow us up. We plan to leave there by 6:15. We are taking Rt 11 to the Lisbon Exit, and stopping at BP to pick up a few more people. From there we will go to Hanoverton. The walk there starts at 7pm. 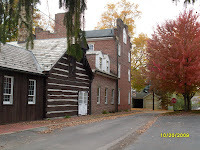 We pay by going in the back door and meet with the Historical Society in the back parking lot. Any Questions? Email me. 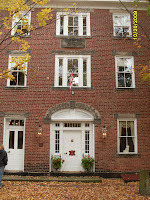 I want to thank your group for kindly postting the Hanoverton Ghost Walk dates for 2010. I truly appreciate the post! You have an interesting site! Thanks again!